Do you ever wish you could bring your dog to the cinema ? Well now’s your chance! 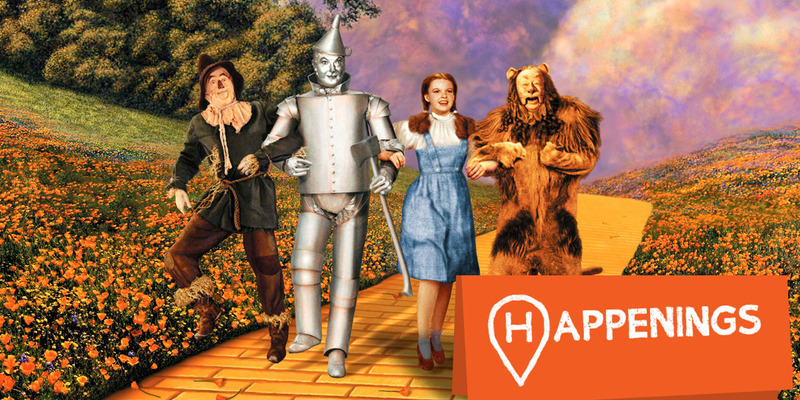 In celebration of The Doggie Do on September the 10th, Happenings in partnership with Dublin City Council present the open-air cinema screening of The Wizard of Oz on the 24th of August in Merrion Square at 8pm. A musical fantasy for all ages, The Wizard of Oz was introduced to us in 1939, a story of a young girl who befriends a scarecrow, tin man and lion on the her way to the Emerald City. Join us on a journey down the yellow brick road on the 24th of August in Merrion Square, where we would love for everyone to bring along their furry friends for an enchanted evening filled with music, food and all things dog! Our audiences are encouraged to wrap up nice and warm and bring with them seating, blankets and picnics. This is a STRICTLY NO-ALCOHOL event! Doors open at 8pm and the film will start once the sun goes down.